Buprenorphine is a drug that helps people withdraw from highly addictive opioid drugs such as heroin. What is the buprenorphine treatment process? What are the symptoms of withdrawal from buprenorphine? What are the side effects from using this drug? Who Answers? to learn more about buprenorphine recovery programs in your area. A rehab support representative can confirm your insurance coverage over the phone. 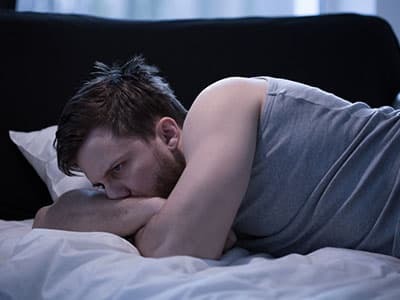 Drugs such as buprenorphine assist people who want to discontinue the use of narcotic drugs but want to minimize unpleasant withdrawal symptoms and cravings. Methadone is another drug commonly used in the setting of opioid dependence. However, as a full opioid agonist and potentially addictive drug itself, methadone therapy may prove more problematic than buprenorphine for some individuals. Buprenorphine is not without its own risks, however, as it can also produce mild physical dependence, especially when taken in excess of prescribed dosing parameters. Like all opioid drugs, buprenorphine’s mechanism of action involves certain opioid receptors in the brain. While the effects may be similar, buprenorphine is ultimately not as strong as heroin, Vicodin, morphine and other commonly abused opioid drugs. Experience sensations of pain relief and mild euphoria. But these sensations will not be as strong as the effects of full opioid agonists such as Vicodin, OxyContin and heroin. Experience suppressed cravings for drugs such as heroin and Vicodin when buprenorphine locks onto the opioid receptors in the brain. Be protected from getting “high” by taking their opioid drug of choice, because buprenorphine is long-acting and occupies the opioid receptors in the brain for close to 24 hours. In the span of time that buprenorphine competitively occupies the opioid receptor sites, taking any other drugs such as morphine or heroin will have an attenuated or weaker effect than it otherwise would. Experience “ceiling effects,” which means that once buprenorphine fully occupies the receptors in the brain, taking additional buprenorphine results in no effects at all. So the person cannot get “higher” by taking more of the drug. Not experience the strong physical withdrawal symptoms associated with discontinuing opioid drugs because the use of buprenorphine results in the sensation that the person is still taking those drugs. Buprenorphine is classified as a Schedule III controlled substance. This means that buprenorphine has a moderate risk of physical dependence, abuse and/or addiction. 3 Only a qualified physician can prescribe buprenorphine. 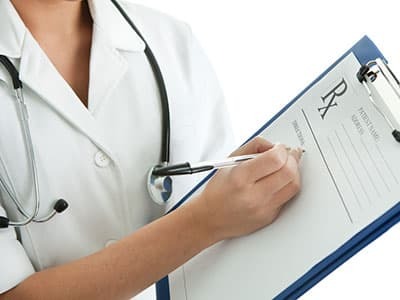 Physicians who prescribe narcotic drugs such as buprenorphine have to register with the Drug Enforcement Administration (DEA) and be accepted into the physician waiver program. Once accepted into the program, the physicians are qualified to take special training. Once they complete that training, they are given a serial number that is attached to all prescriptions for narcotic medications that the physician dispenses. This allows the DEA to monitor prescriptions of potentially addicting substances. While buprenorphine is helpful in reducing physical withdrawal symptoms and cravings for drugs such as heroin, OxyContin and Vicodin, it is not a “cure” for addiction to these drugs. It simply helps a person negotiate the period of physical withdrawal from these drugs – a time when the risk of relapse is very high. Buprenorphine is not a long-term solution to addiction, either – it is a short-term solution to potential relapse. Those who want to stop using opioid drugs need to participate in a recovery program that includes counseling, social support, medical support and the development of a long-term aftercare program. Buprenorphine has a few side effects. However, these are also relatively rare, and some are dose-related. Buprenorphine’s side effects are considered milder than those of other opioid medications or drugs. Feelings of fatigue or weakness. Constipation (more common at higher doses). Nausea (more common at higher doses). Dizziness (more common at higher doses). Gastrointestinal effects including nausea, vomiting and constipation. Issues with menstruation in women. Dental issues associated with long-term opioid use (low saliva production and issues with diet and self-care). Periods of confusion and disorientation. Potential to develop anxiety, depression and other mood problems. Isolation and avoidance of social situations. Potential for the development of other psychological symptoms such as delusions and hallucinations. Mood issues, as discussed above. Troubles with work, school, relationships and/or finances. Who Answers? today. A trained representative can provide treatment options based on your insurance. Making sure that the person is diagnosed with an opioid drug dependency. Reviewing the treatment options for opioid dependency with the person. Making sure that the person has no health concerns that would interfere with buprenorphine use. Ensuring that the person is willing to follow the treatment and safety precautions associated with buprenorphine. Once these issues have been addressed, the treatment of buprenorphine occurs over several phases.1, 4 During all phases of treatment, the person needs to be involved in a drug addiction treatment program. These treatment programs must, at a minimum, consist of individual counseling. They should also include case management, group therapy, support group involvement, family therapy (if necessary) and a program of long-term aftercare. The goal is to find the lowest dosage that will reduce withdrawal symptoms and cravings. In this phase, the person is typically in the early stages of withdrawal from opioid drugs – meaning they have not used their drug of choice for between 12 and 24 hours. The induction period typically lasts for about 1 week. The physician begins administering buprenorphine during this phase. The goal is to find the lowest dosage that will reduce withdrawal symptoms and cravings. The initial dosage of buprenorphine is between 4 mg and 8 mg. If the maximum dose (8 mg) has not been administered, and the person still experiences withdrawal issues, he or she can receive another dose of the drug. This phase lasts between 1 and 2 months. The goal during this phase is to maintain the lowest dosage necessary for the continued avoidance of withdrawal symptoms and cravings for opioid drugs. According to the guidelines, people are typically maintained on doses between 24 mg and 32 mg daily or every other day. Because buprenorphine is relatively long-acting and has a relatively long half-life, some people may tolerate every-other-day administration. If the treatment is going well at this point, the person is maintained on a steady dose of the drug during this phase. The length of the maintenance stage can vary, and in some cases might even be indefinite. Employment or engagement in other meaningful activities. Prolonged abstinence from opioids and other substances. Positive changes in the person’s behavior and social and family life. The physician will slowly begin to taper down the dose of the drug so that the person will not experience severe withdrawal symptoms. The tapering period will depend on the dosage that the person was taking during the stabilization and maintenance phases. However, once the dosage is tapered down to 2 mg, the physician will typically stop the medication, and the person should not experience significant withdrawal symptoms. If a person who has been taking buprenorphine abruptly stops taking the medication, he or she will experience withdrawal symptoms. However, the symptoms are not as intense as withdrawal from other opioid drugs, and they will not begin immediately due to the long half-life of the drug. They are often described as a set of flu-like symptoms that usually peak within a few days. First 24 to 72 hours. The most intense period of withdrawal will often occur 24 to 72 hours after discontinuing buprenorphine. For most people, the peak intensity for the symptoms occurs around the 72-hour mark. A number of symptoms can occur during this phase, including nausea, sweating, restlessness, irritability, diarrhea, muscle and joint aches, watery eyes and dilated pupils. 72 hours to one week. After the first 72 hours, users will often continue to experience aches, cramps, all-around restlessness, insomnia, mood swings and general feelings of malaise. These feelings can last through the first week of withdrawal. Second week. Withdrawal symptoms usually fade during the second week. However, some people may still experience mood swings, restlessness and low motivation. Third week. By the third week and beyond, the physical symptoms of withdrawal should be resolved. But some people may continue to experience issues with mood, motivation and restlessness. Some people may also develop increased cravings for the drug. Continued intermittent cravings for the person’s drug of choice. PAWS’s legitimacy has been questioned. However, it is noted in many sources. Chronic drug abuse does alter specific pathways in the brain that could lead to long-term changes in mood and emotional adjustment. Moreover, many of the PAWS symptoms represent general tendencies in certain people that may have been present prior to drug use and perhaps even fueled the drug abuse. Buprenex (buprenorphine hydrochloride) is the liquid form of buprenorphine, and Butrans is the transdermal patch form. Buprenorphine is also a component of other opioid replacement drugs such as Suboxone. Buprenorphine is available as a generic in either 2 mg or 8 mg tablets (formerly marketed as Subutex), which are administered sublingually (dissolved under the tongue). The person will be prescribed the lowest amount of the drug that will result in the cessation of withdrawal symptoms. Maintenance doses can be as low as 4 mg or as high as 24 mg to 32 mg a day. In certain cases, the maintenance dosage can be even higher than 32 mg per day. Physicians can adjust the dosages as required for efficacy. The length of treatment is typically decided by the physician and the person’s substance abuse treatment team. Buprenorphine has a half-life of 24 to 42 hours and is detectable in the systems of regular users between 5 and 12 days after the last use. Most medical plans cover at least part of the cost of the medication. Numerous studies have demonstrated the effectiveness of buprenorphine. Numerous research studies have demonstrated the effectiveness of buprenorphine in helping people withdraw from highly addictive opioid drugs such as heroin. A Cochrane review in 2014 evaluated 31 randomized clinical trials with a total of 5,430 participants. The review found that buprenorphine maintenance treatment was effective at retaining people in treatment at doses above 2 mg and was effective at suppressing illicit opioid use at doses of 16 mg or greater.8 However, buprenorphine was not as effective as methadone at retaining people in treatment. If you or someone you know needs help quitting the use of opioid drugs, please call 1-888-319-2606 Who Answers? for information on how to begin the process. We can also verify insurance coverage. If you do not have insurance, call the Substance Abuse and Mental Health Services Administration’s (SAMHSA) national helpline at 1-888-319-2606 Who Answers? (HELP) to find out how to become enrolled in a treatment program.
. Moody, D. E. (2013). Metabolic and toxicological considerations of the opioid replacement therapy and analgesic drugs: methadone and buprenorphine. Expert opinion on drug metabolism & toxicology, 9(6), 675-697.
. Wikler, A. (2013) Opioid dependence: Mechanisms and treatment. New York: Springer Science & Business Media.
. United States Drug Enforcement Administration. (2016). Drug scheduling.
. Substance Abuse and Mental Health Services Administration. (2007). Clinical guidelines for the use of buprenorphine in the treatment of opioid addiction: A treatment intervention protocol. Rockville, MD: US Department of Health and Human Services.
. Taylor, D. R. (2015). Managing patients with chronic pain and opioid addiction (pp. 39-68). New York: Springer International Publishing.
. Ingersoll, R. E., & Rak, C. (2015). Psychopharmacology for mental health professionals: An integrative approach. New York: Nelson Education.
. Substance Abuse and Mental Health Services Administration. (2016). Sublingual and Transmucosal Buprenorphine for Opioid Use Disorder: Review and Update. SAMHSA Advisory 15(1).
. Weiss et al. (2011). Adjunctive counseling during brief and extended buprenorphine-naloxone treatment for prescription opioid dependence: a 2-phase randomized controlled trial. Archives of General Psychiatry 68(12):1238-1246.